HB 5005 the Florida Caveat Emptor Law. Caveat Emptor is Latin for “Let the Buyer Beware” (i.e., one buys at one’s own risk). The axiom or principle in commerce that the buyer alone is responsible for assessing the quality of a service before buying. This is the push from the Governor to reduce government and increase jobs by allowing anyone,yes anyone, to provide you with a professional service listed in the repeal bill to do so without meeting the states current licensing requirements. Florida floods, tornadoes, hurricanes, and other natural disasters, create a perfect feeding ground for scam artists from both inside and outside of Florida. When it comes to rip-off professionals cashing in on the misery of others, fraudulent Mold Inspectors and Mold Remediators rank high on the list. As Floridians, we had been exposed to these fraudulent mold service professionals for years. Last year the current Mold Services Licensing Law was passed and enacted. 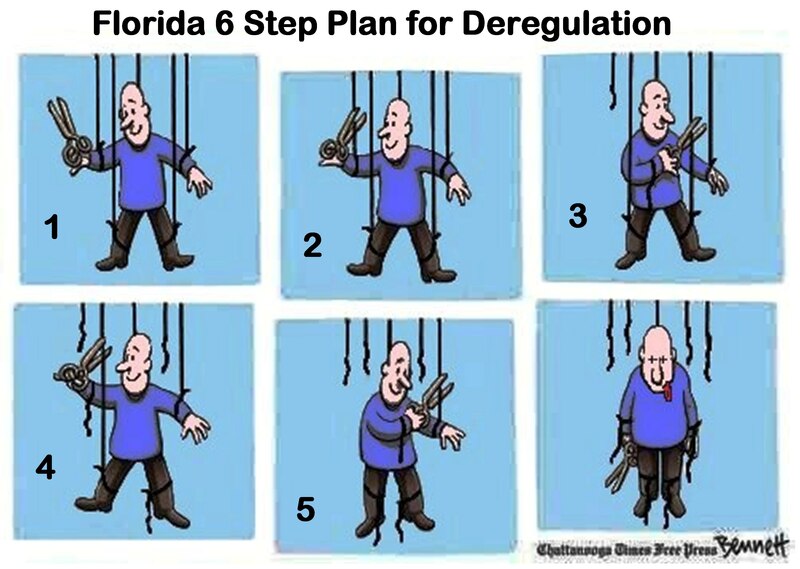 Finally providing Floridians with the much needed Consumer Protection needed for years. Floridians can now request to see a Mold Inspector or Mold Remediators License and review their history on the FL DBPR website before the make the decision to hire. And now, the new Governor wants to repeal this much needed Mold Related Services Licensing Law. If HB 5005 passes and we lose the Mold Related Services Licensing Law, all Floridians will once again be exposed to fraud when the next disaster hits. States like Texas and Louisiana have Mold Related Services Licensing Laws because they know the TRUE need for Mold Services Licensing. They have seen more than their share of Mold and Remediation Fraud recently and have enacted the necessary Mold Services Licensing Laws to protect their citizens. We have done the same here in Florida and need to fight to keep the Current Mold Licensing Law to protect Floridians from Mold Scams and Mold Fraud. Update from Dan Pollock, Pollock & Associates, Inc. The House Business & Consumer Services Subcommittee recently approved in a partyline vote—with all Republican members voting for the bill—the proposed committee bill that would de-regulate nearly 30 licensed professionals under DBPR. The proposed committee bill (PCB) now has a bill number that you can track: HB 5005. As of now, there is no senate companion to this bill however that can change at any time. There are individual bills to repeal the Mold Services law in its entirety, which are also in play. The de-regulation of Mold Services is by no means a foregone conclusion! There are 7 weeks left in a 9 week session. Many members who voted for the de-reg bill last week did so based purely upon House politics; not because they believe all 30 professions should be de-regulated. Many have issues with both Home Inspectors and Mold Services going back to the unregulated, wild west that it once was. Many understand that these services were regulated because of bad actors and abuses to consumers that were occurring. Lobbying efforts are greatly needed. If legislators do not hear from industry representatives, they often feel that it must not be a ‘big deal’ since no one is coming to see them. Emails and phone calls are very important, but they do not take the place of a lobbyist who has a personal relationship with these legislators visiting with them and explaining the history of the profession and how you got to become regulated professionals. Going unrepresented in Tallahassee would be a very risky gamble. I believe that with hard work lobbying the members we will prevail. I have already started meeting with members to discuss the disastrous results that would occur if the legislature does away with our licensure. I have started this work so that we, as an industry, are not playing catch-up once I am retained as your lobbyist and an agreement is signed. But, I can only do so much work without an agreement and a first payment. Please inform all interested Mold Services professionals who have a stake maintaining their licensed professional status that now is the time to step up and take action. I stand ready to work tirelessly to defeat this de-regulation measure and, again, I believe that we will prevail. Deregulation of Professions and Occupations: Deletes provisions establishing DBPR’s Division of Florida Condominiums, Timeshares, & Mobile Homes, Florida Board of Auctioneers, Board of Employee Leasing Companies, Board of Landscape Architecture, Board of Professional Geologists, & Board of Professional Surveyors & Mappers, Motor Vehicle Repair Advisory Council, & Regulatory Council of Community Association Managers; deletes provisions for regulation of yacht & ship brokers, auctioneers, talent agencies, community association managers, athlete agents, employee leasing companies, home inspectors, mold assessors & remediators, professional surveyors & mappers, persons practicing hair braiding, hair wrapping, or body wrapping, interior designers, landscape architects, professional geologists, professional fundraising consultants & solicitors, water vending machines & operators, health studios, ballroom dance studios, commercial telephone sellers & salespersons, movers & moving brokers, certain outdoor theaters, certain business opportunities, motor vehicle repair shops, sellers of travel, contracts with sales representatives involving commissions, & television picture tubes; revises name & membership of Board of Architecture; revises license classifications of public lodging establishments; deletes DBPR’s authority to enforce & ensure compliance of certain provisions relating to condominiums, cooperatives, vacation plans & timeshares, & mobile homes. This entry was posted on Friday, March 18th, 2011 at 7:28 pm and is filed under Commercial IAQ, Residential IAQ. You can follow any responses to this entry through the RSS 2.0 feed. You can leave a response, or trackback from your own site.